Middle School classes spent time this week discussing why Shorecrest supports The Kind Mouse Organization through contributions to the Mouse Nibbles Weekend Feeding Program. Using Playspent.org, students experienced the choices many families face in order to financially support themselves. Each student began the simulation with $1000 in savings as they faced getting a job, paying rent, buying insurance, supporting the interests of their children, and a myriad of life events. Follow up conversations included the concepts of a workers' union, job strikes, affording healthy groceries, qualifying for food stamps (Supplemental Nutrition Assistance Program), the serious health conditions that can result from poor dental health, as well as the questions that challenge the Core Values we work to instill in Shorecrest students. Please visit the website to experience and discuss with your children. Fifth grade students launched their Service Learning project by exploring the new USDA nutrition guidelines from the choosemyplate.gov website. Extending their study of multiplication, math students calculated the amount of fruits, vegetables, grains, protein, and dairy a child needs in one weekend. Then, using their non-fiction reading skills from English class, they read food labels and analyzed the nutritional value in each food to create their own "Mouse Nibbles" bag for Kind Mouse. 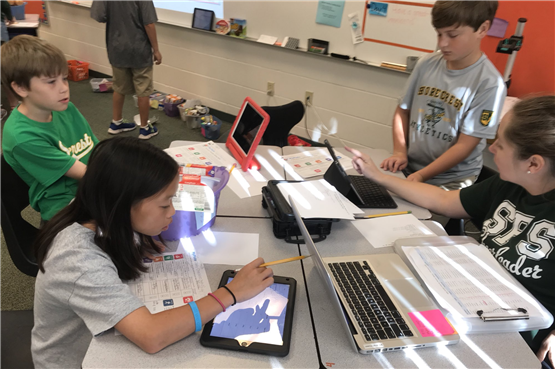 Now, students are putting it all together in English to create a Non-Fiction Article answering the question, "How the Kind Mouse Mouse Nibbles Weekend Food Bag measure up to the USDA choosemyplate.gov nutrition guidelines?" Stay tuned for some awesome published pieces! Shorecrest is stepping up to help Pinellas County families through a food drive benefiting The Kind Mouse through December 8. Learn more here.